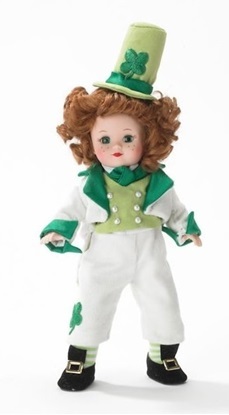 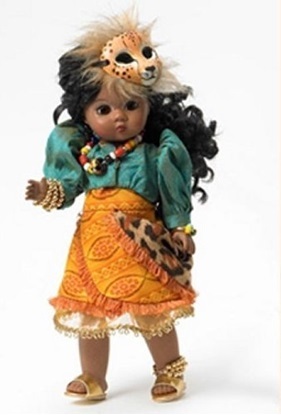 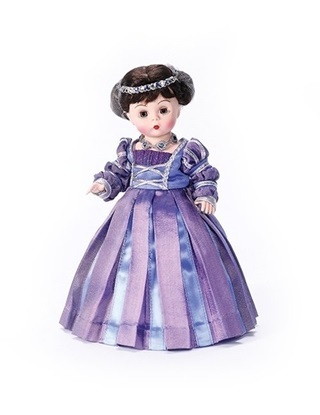 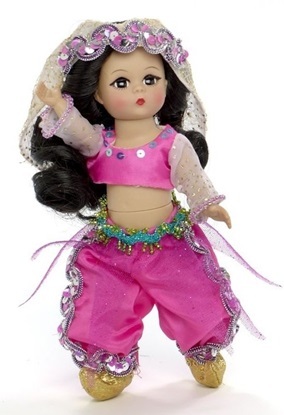 One of the most popular categories of Madame Alexander collectible dolls are the Internationals. 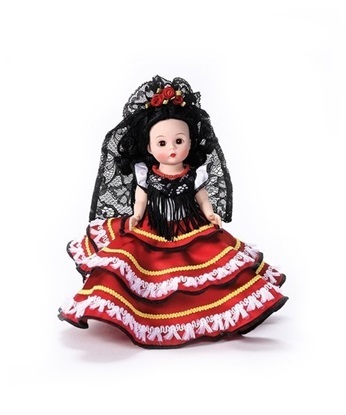 The dolls represent different countries and are usually dressed in a native costume. 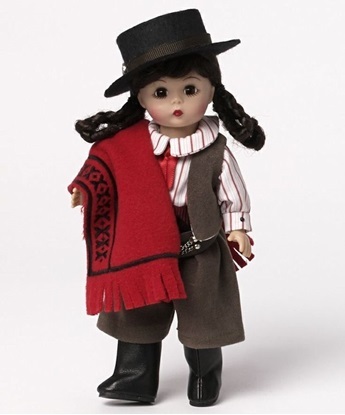 This 8 inch girl represents England in a black tunic with white pearls worn over a white cotton dress and a wide-brimmed black flocked hat.